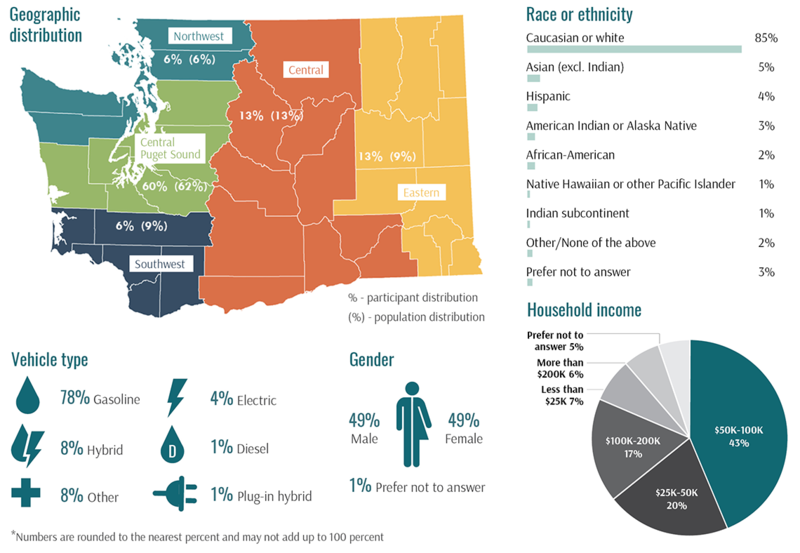 Nearly 5,000 drivers across Washington expressed interest in an opportunity to be one of 2,000 drivers participating in the year-long WA RUC Pilot Project. 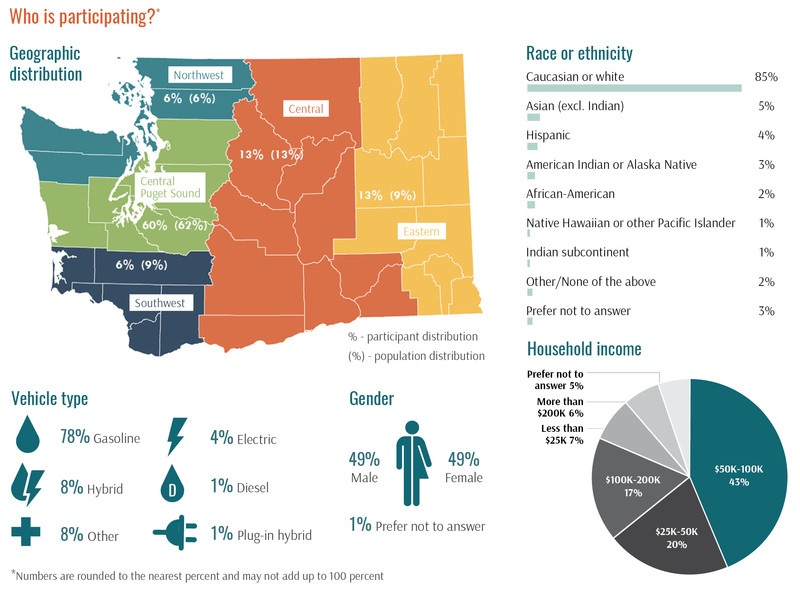 The participant pool represented the state’s geographic population distribution and reflected the diverse types of drivers in the state, including demographics such as race, income, age, and gender. Participants could review their driving data via an online dashboard or smart phone app provided by their service provider. Service providers also sent participants monthly or quarterly invoices depending on which mileage reporting option they selected. Invoices shared insights about individual driving habits and compared what the driver would pay under the current gas tax versus under the RUC. Throughout the test-driving phase of the pilot, participants had the opportunity to report any flaws or observations made while test-driving and reviewing their dashboard and invoices. Test drivers also participated in focus groups and surveys, sharing detailed feedback about topics like the convenience and user-friendliness of reporting options and invoices, the importance of principles such as privacy, simplicity, transparency, cost-effectiveness and equity, and satisfaction with customer service and the pilot itself. Feedback shared by participants and the public will be analyzed as part of the results for the comprehensive report that will be shared with the Governor, Legislature, and USDOT in early 2020. 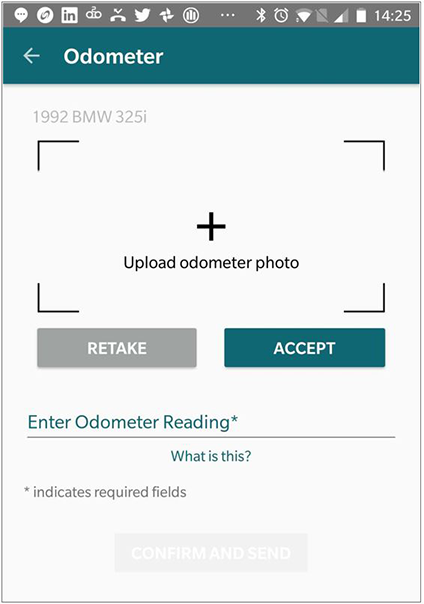 Participants could report miles by submitting odometer photos using a smartphone, tablet, or other mobile device.